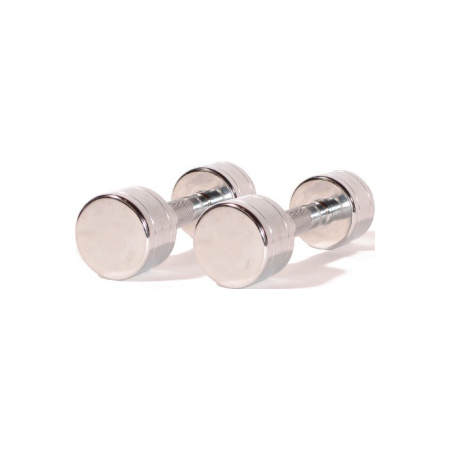 Full commercial quality stainless steel chrome plated dumbells with ergonomic knurled handles. The handles provide a secure and comfortable grip. Available in sizes 1kg – 30kg in each hand. Sold in pairs. Dumbell weight tolerance +/- 3%.